There are many different types of musical instruments that can be used to produce a variety of music. They are usually played by professional musicians although many people also keep and play them as a hobby. Musical instruments have undergone a huge revolution; from the piano and the violins to the guitars and keyboards of today. A typical keyboard can play the sound of almost any instrument available. Guitars are also widely popular, especially amongst the youngsters, due to the fact that they allow you to play an instrument, sing and do a few steps at the same time. Other instruments, such as the keyboard or the drum require the musician to sit and play and therefore doing some dance steps is not possible. In this article we will explore the pickup types of guitar. A pickup device refers to a transducer that captures the mechanical vibrations and then converts them into electrical signals. These signals are then amplified and can be recorder and/or broadcasted. A transducer is used to record the vibrations in stringed instruments which include electric guitars, electrical bass guitars, electric violins, Chapman Sticks and so on. Many types of pickups can be used. A magnetic one consists of a magnet which is wrapped with a copper wire (having thousands of turns). The pickup is usually mounted on the instrument’s body but it can be attached to the neck, bridge or the pick-guard. In most of the cases, the pickups of the guitar are made to work well even for different positions of the guitar. They can be on the neck or the middle or the bridge of the guitar based on the outputs of the pickup, resonant frequencies, and also general voicings. The reason for this can be traced down to the physics of the guitar string. This helps to explain the varying sounds with varying amplitude and also how a pickup interprets the motion of the string to create the sound that we hear. When guitar strings are plucked, the sound that is produced depends on the amplitude. The amplitude, in turn, depends on the position of the pickup. If the guitar string that is plucked is closer to the neck, it will create a larger amplitude than when it is closer to the bridge. This happens because as the string vibrates, it disrupts the magnetic field of the pickup thereby inducing an electric current which generates the output. Another important thing to be noted is that besides determining the amplitude, the sound that is produced is also determined by the placement of the pickup. This can be tested by conducting a simple experiment; first pluck any string that is near the bridge and then repeat the same for a string that is near the neck. The sound is easily distinguishable. Rather to be precise, the sound produced by the string near the bridge is brighter compared to its neck counterpart. Moving on, even if the same pickup is used in the neck and bridge positions, the sound will be different. At the bridge, the sound will be thin and weak whereas the sound at the neck will be dark and quite loud. There needs to be a balance between the pickups that are in different positions on the same guitar. 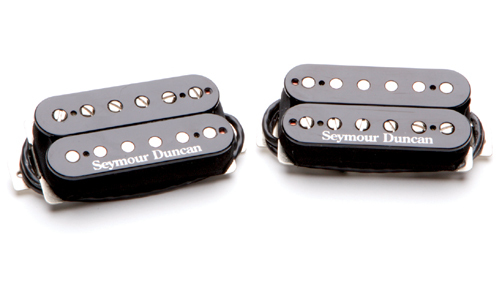 The pickups that are closer to the bridge are made to have higher output than the ones that are near the neck. The reason is that the latter receives lesser volume or string amplitude. Therefore it can be concluded that bridge pickups are consequently ‘designed’ to be louder than the neck pickups. allana. "Difference between neck and bridge pickups." DifferenceBetween.net. December 10, 2014 < http://www.differencebetween.net/miscellaneous/difference-between-neck-and-bridge-pickups/ >.